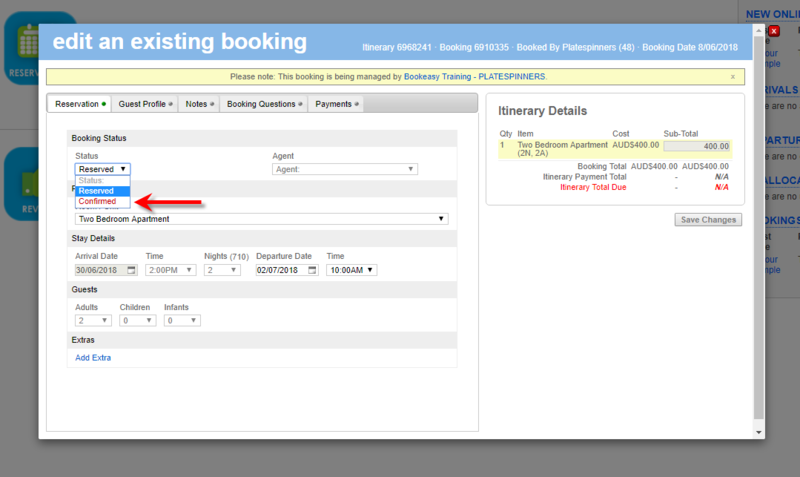 This guide will teach you how to confirm a 24 hour reservation from your Bookeasy member console. When a 24 hour reservation is made, you will receive an email asking to confirm the booking, in some cases the booking centre will follow up the booking manually, however you can confirm the booking yourself. Once you have clicked save changes, the booking will be confirmed and an email generated to the customer asking for full payment. If you cannot accomodate the booking, you will need to contact the booking centre who made the reservation to ensure that the booking is cancelled.